The invited graduate will also have the opportunity to propose a future project for Flat Time House's public programme. Open to artists living in the UK outside of London who have graduated from BA and MA courses within 2 years, the 4 week residency offers a studio and living space within the creative centre of Peckham, London. The residency will take place in April 2013 and is to be judged by Mark Titchner (Artist), Gareth Bell-Jones (Curator at Wysing Arts Centre) and Rozsa Farkas (Director at Arcadia Missa). - A 75 pounds per week stipend towards living costs and materials. 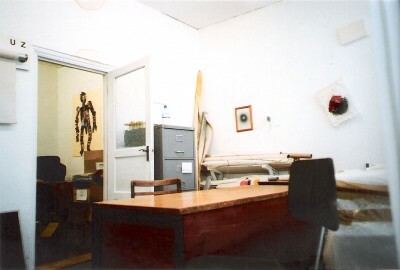 - A local studio space. - A schedule of studio visits from established artists and curators tailored to the successful applicant's practice, including from Anna Gritz, Curator at South London Gallery. - Travel to and from the residency. - Materials and living costs in excess of 75 pounds per week. - Proof of residence outside of London and of graduation in 2011 or 2012.